Jackies Coaches currently holds a National licence. "Very good service. On time, clean, comfortable coach and very well presented driver. Would definitely recommend." "Prompt pick up, we were allowed to play music through an aux which was good! Good coach device to use for a night out, very cheap, would definitely use them again!" "Overall it was good value and a good service. The communication in booking was pretty good, and on the day our driver - Pete - was excellent; very friendly, amenable and easy to chat to. 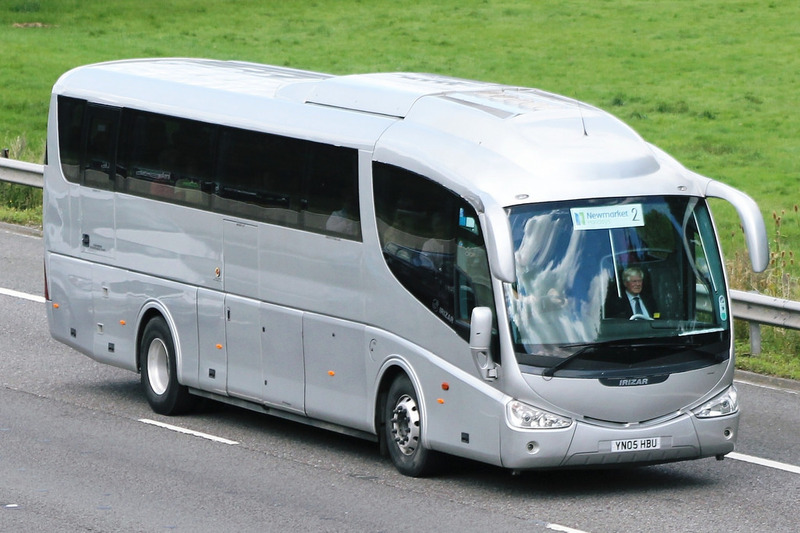 I'd recommend Jackies Coaches to other people." "Brilliant service, we had a very posh coach for the first journey and an older larger coach for the return, both coaches very comfortable and clean. Our driver was well presented and personable. Great service and communication via email. Very competitive price. I would highly recommend them and use them again." 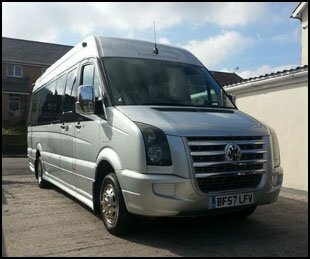 "We have used Jackies Coaches three times in total now and have received outstanding service each time. The whole process from start to finish was hassle free and the coaches themselves are immaculate. Each driver has been friendly, professional and approachable and I would have no hesitation in recommending Jackies Coaches to others." 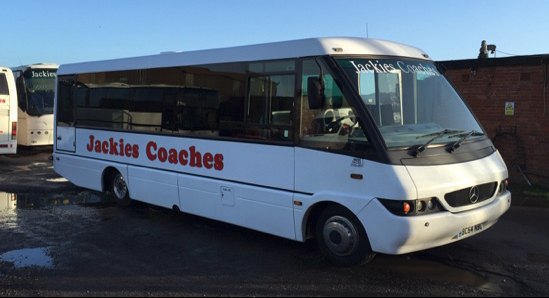 "Unforunately, whilst having a good service previously, we were let down by Jackies coaches recently and coming up to three weeks on are still out of pocket. Jackies coaches had quoted for providing 4 coaches for a childrens outing. At less than 20 hours notice they advised they would only be able to provide 3 (and not all to the original number of seats either). We frantically had to phone around and after contacting 10 firms managed to find one - which we had to pay considerably more for. Whilst I appreciate things happen - it is not acceptable that more than two weeks on are we yet to receive any refund for the lack of provision just having a response saying they are still working on it - and 5 working days later still not having received a response. We are a voluntary organisation and I am personally considerably out of pocket now whilst I look at appropriate channels to escalate this through." "We use Jackie coaches three or four times a year. The admin team are fantastic and are always willing to help out. Coaches are comfy and very clean. The driver is fantastic and always willing to help. We would recommend this company to anyone"
"Journey was brilliant. Great driver who went a sensible way to The Globe (and this isn't always the case with other companies! ), and got us there in plenty of time. Great collection from The Globe, with the coach in a perfect place, and then a smooth journey home. Got home 15 minutes earlier than anticipated. Lovely driver, lovely clean and comfortable coach, and he opened the front windows so we got plenty of ventilation. Couldn't be happier."